Magazines: Michelle Obama Combating Childhood Obesity Makes Her One of Time’s Most Influential People. It looks like she just did. Elsewhere: [Time] The 2011 Time 100: Michelle Obama. 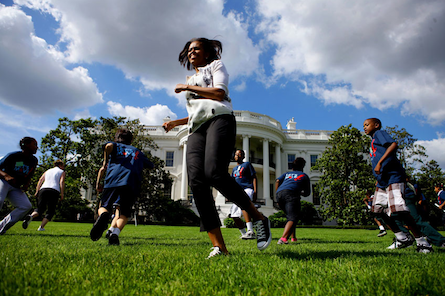 [MamaMia] Michelle Obama is Too Fat to Fight Childhood Obesity. Wow, Rush Limbaugh. Just, wow. I know, right?! Racist, sizeist and sexist on all levels!